An orphan travels West to meet a lonely widower and his child. Will they find each other’s heart in this new wild world? Theresa Doe never knew her parents. Abandoned on the day she was born, all she has ever known is life in the orphanage with the Sisters of Holy Mercy. For seventeen years she’s lived with hunger and cold, her faith the only thing to sustain her. But now a lonely widower out west has put out a call for a wife and Theresa has been chosen to go to him. Henry Forth is a restrained and taciturn rancher in the Colorado Territories. He has struggled to build his ranch into a success and is in need of a woman to be his wife, the lady of his house, and a mother to his three-year-old child. 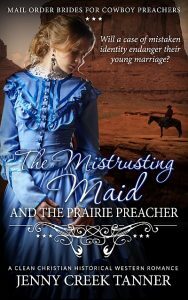 Theresa now must travel from her home in Pennsylvania to the wild west of the Colorado Territories, to live with the quiet Mr. Forth. In the shadow of the Rocky Mountains there is no law. Bandits lurk in the forests and danger waits on the horizon. In this strange and dangerous place Theresa must transform from an orphan to a wife, even though she has no knowledge of married life. 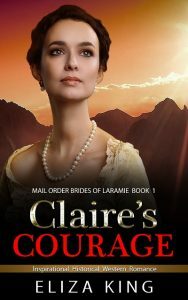 A Colonel with a broken heart, a mail order bride wanting to heal it and a baby girl without a mother. Can love heal all wounds? 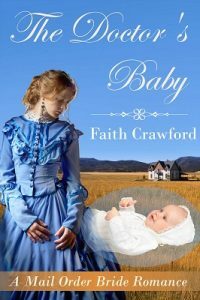 Young Helena’s intention when she applied to be Colonel Joseph White’s mail order bride was to be his wife and mother to his sweet eight-month-old baby girl. Except that when she gets to Montana, she realizes that she was invited under false pretenses. Her mother in law had something else in mind—a young lady to take her son’s mind off his beloved wife, who has passed on. 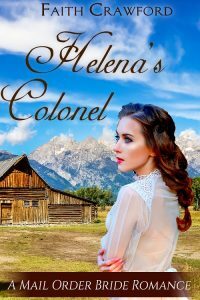 Her heart aching for Colonel Joseph and his baby, Helena decides to stay and help as much as she can. Only she has not reckoned on falling in love with the quiet, detached man who is obviously in so much pain. Will Colonel Joseph return her love? 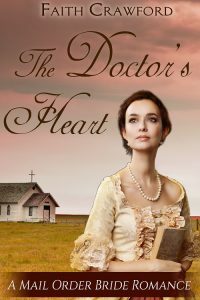 Can she heal his wounded heart? Are they destined to be a family? 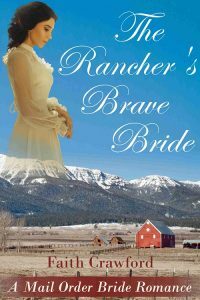 A doctor who suffered a great loss, a young and naïve mail order bride and twins craving motherly love. Long-time bachelor and country doctor Eli Yoder is finally looking to tie the knot. But love, romance and companionship have nothing to do with it. Instead, he is looking for a woman who will put aside her own needs, dreams and desires to become an ideal mother to his six-month-old twin nephew and niece. He has recently suffered great personal loss and what he is looking for is to balance his life. Young, naïve Saloma Hofstader is being forced by her insensitive and cruel brother from the arms of the man she loves and into a marriage that is cold and emotionless. Things change when Eli falls in love with the wife from his very practical marriage and finds in her comfort, love and joy. Thousands of miles away from the place she spent her childhood, in the rolling acres of Nebraska, will Saloma finally find passion, love and a home? Mae Winter is alone and unhappy. Her one wish is that by the turn of the century, her life would be more fulfilling, more exciting. Doc Cunningham lives in California, quite a distance from Mae. When a woman gives birth to a healthy baby boy and abandons him in the Doc’s clinic, he is left with a decision -put the child in the orphanage or raise him as his own? With no experience and being unmarried, he decides it’s time to make a change to his life and advertises for a bride to be a mother for the newborn and a wife for him. Mae is the perfect opposite of Doc, exciting and outgoing to his quiet calmness. Can they make a go of it? Will they be the right parents for the abandoned baby boy? Or will they clash and cause more pain and strife for each other and the baby? I wanted to write about how setbacks can turn into positive life changes. The life of the newborn baby boy in this book starts off rocky when his mother abandons him. But then two new, loving parents come into his life, showing that the sunshine might come back. The only question is whether his new parents can overcome their differences and find each other to form a happy family. Mae Winter is alone and unhappy. Her one wish is that by the turn of the century, her life would be more fulfilling. In California, a woman abandons her baby in a clinic and Doc Cunningham is faced with a decision: put the child in the orphanage or raise him as his own? Mae’s and Doc’s lives come together when he decides to advertise for a bride. Can they make a go of it? Will they be the right parents for the abandoned baby? Or will they clash and cause more pain and strife for each other and the baby?